Poet Allen Ginsberg’s shout out to Carl Solomon, an inmate at Rockland State Hospital in the 1950s, was a visceral response to the horrors of mental health treatment - something Ginsberg understood intimately – but the bleak landscape of Howl was vastly different from the sunny ideals that underpinned the plans for Rockland State Hospital at the end of the Jazz Age. Designed in 1927 and fully operational by 1931, the facility was a 550-acre working farm in Orangeburg, New York with 5,768 beds for men, women and children suffering from mental illness. Patients grew crops and worked in hospital industrial shops manufacturing mattresses, brooms and furniture in keeping with the idea that fresh air, manual labor and rural tranquility were curative for the mentally unhinged. 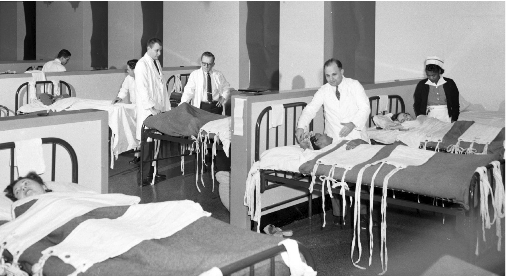 Electroshock, insulin shock therapy and lobotomies were also administered as the most modern treatments available. The hospital had its own water supply and power plant, separate employee cottages with a school for their children, an auditorium, a golf course for the doctors and even a bowling alley. 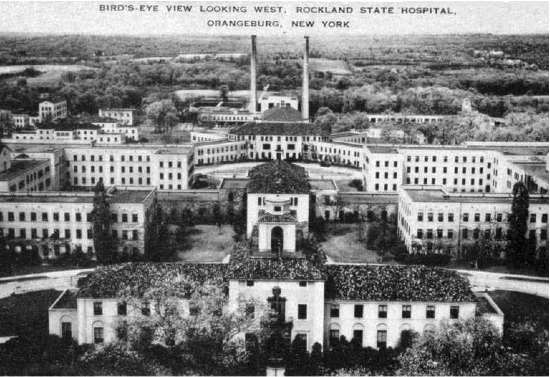 In these early years, Rockland State Hospital was considered a revolutionary improvement from the crowded and unsanitary asylums of New York City. 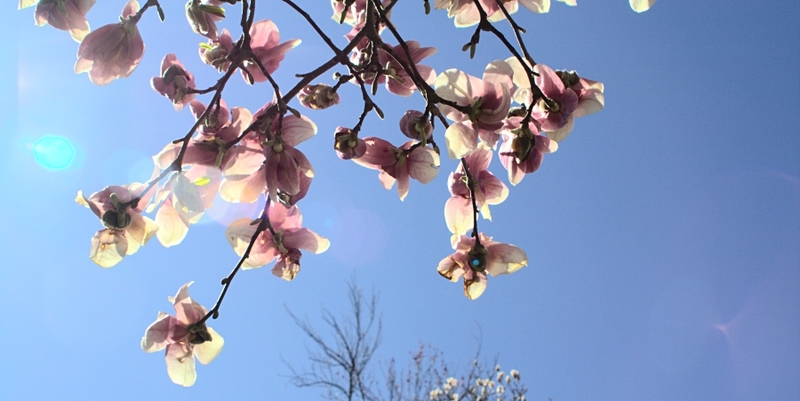 By the 1960s, the advent of psychotropic drugs and the social push to deinstitutionalize the mentally ill steadily reduced the population at Rockland State. By the 1970s there were fewer than 600 inpatients and most of the campus was abandoned. For three decades nature gently folded itself around the empty buildings. Trees heaved through sidewalks to stand watch in front of padlocked doors. Vines curled round wrought iron gates left hanging ajar. Hidden in an unmarked cemetery, small stones inscribed with numbers hint at the anonymous thousands who lived and died at this once stateof- the-art treatment center. It is a place haunted by their anguish. Several years ago, a location scout published photos of the abandoned hospital on his blog. He was surprised to receive hundreds of comments from former patients, employees and people living near the complex. Below are a few excerpts. …I remember visiting there once as a small child but do not recall any details except the memory of a blue door with a small wired glass that my Grandmother entered through to visit her sister. She went into the facility because she lost her mind at the abusive hand of a cruel husband. …The first AA meeting ever at an institution was held on the grounds of Rockland State Hospital in early December 1939. A NY State Historic Society landmark sign refers to this first meeting where AA’s co-founder Bill W. Spoke. …Rockland State Hospital was a tough place to work and a sad way to take care of the patients. Back in the 40's it really was the only place to go for employment… I hated the bars on the buildings, especially when the children would be at the barred “sun rooms” asking if we could be their parents and get them out. …I was there in there in the 60’s in the children's ward, I still have nightmares what was done to me then. …I could tell you plenty about the hospital because I spent from 1960 to 1970 in that place… There were a lot of children as myself who didn’t belong there… Not all my rememberies were bad, a matter of fact, I had some very good rememberies of the place. I guess no one wants to admit that they’ve been in such a place. …Every Sunday the Interns would bring some of the patients to the Corronet Sweet Shop (where I worked) for lunch. They were all special people who we would give extra scoops of ice cream. We would make small talk and there would be a safe haven at least for fun for a short time. In 2002, New York State deemed 348 acres of the campus as surplus and the town of Orangetown purchased the acreage in 2003. This included the nine-hole Broadacres Golf Course, which was revitalized and opened to the public, as well as acreage later converted to soccer and Little League fields. The Nathan Kline Institute, a research facility, Rockland Psychiatric Center with 410 beds for adults with serious mental illness and the Children’s Psychiatric Center are housed in new buildings on the old campus and continue the difficult work of treating mental illness. But the abandoned buildings have stood undisturbed - at least until this winter. In October of last year, the town closed a deal with JP Morgan Chase for 60 acres of the property to be used as a data center. The desperate howls Ginsberg so vividly described in 1956 may finally be silenced. Not by nature, and not by any scientific theories of healthy living, but by the rumble of bulldozers.